I am a huge fan of cookbooks and I love everything from baking to cake decorating to simple home cooked meal cookbooks. They are always there when I need some inspiration and because baking is what I love the most you need the experience of someone who has worked out the recipe to help you along in your own creations, or sometimes just to help you make the perfect desert. I know some people never follow recipes and scoff at cookbooks but I think they are wonderful. I have been thinking for a while that I should collate all of my cookbooks into a list so that if I need to reference a recipe I have used then I can give credit to the writer by having it all in one place. Soon I am going to start to try to make a list of all of them I have, which will be great for me to see them written down but will take a while to do. I have extra special reason why today I thought I would write about cookbooks and that is because my wonderful husband has bought me “The Roux Brothers on Patisserie”! Anyone who loves baking or even just loves really good foo d will understand how important the Roux brothers have been. The book he has bought me is one that was spoken about a lot on the Roux Legacy program – every chef had a copy, even the Michelin stared ones! This book must have cost him a small fortune to get for me and I have to say that it will now have pride of place in my cookery book collection, though this isn’t to say that I don’t love all of my cookery books – especially ones I have been bought or given by my family and friends. I have also recently been bought another rare cookbook (again by my husband) which is a 1920’s, I think, Mrs Beeton book. We managed to get it from an antique fair locally for a bargain price. I am pretty sure that I probably wont be boiling up calf’s heads anytime soon but if I did then there are about 5 recipes. Mrs Beeton always has a special place as my first cookbook was a Mrs Beeton one I had from my uncle when I was 13 years old. 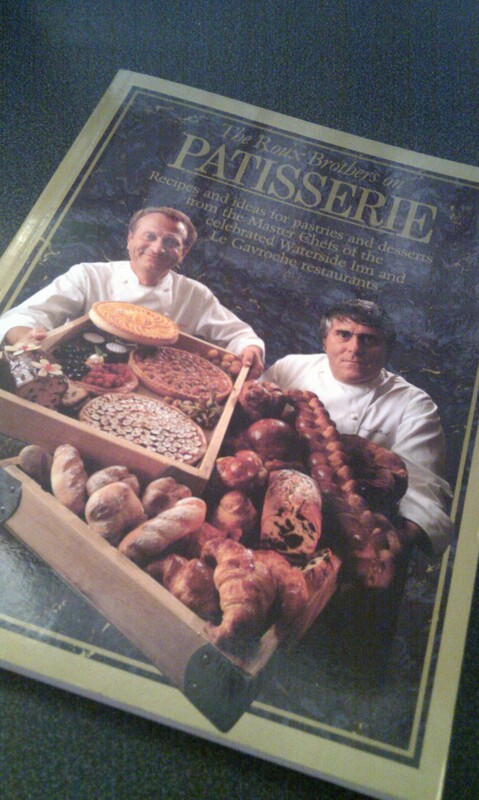 Most of my first baking came from that book and I still keep it now and occasionally have a look up some recipes. Thirdly, the last book I am going to talk about is the Hummingbird bakery cookbook. This one was bought for me by my sister for Christmas a couple of years ago and it has definitely been used. It has the best recipe for red velvet cake you will ever try and the brownies are fantastic to. If you love cakes, especially American style ones then this is really the book you need. Maybe one day I will get to go down there and try their cakes to see if mine are even a little bit the same.